Sorrel (Rumex acetosa) is a perennial herb and is also known as spinach dock, sheep sorrel, or sour grabs and grass due to its sour tangy taste. Various people have unique ways they prepare and consume sorrel. Some use them in soups and salads while others use them in teas and as side dishes. However, sorrel contains oxalic acid which reduces the body’s ability to absorb calcium. Thus, increasing the likelihood of having kidney stones. Furthermore, its the oxalic acid that gives sorrel its sour and tangy taste. Many varieties of sorrel contain dietary fiber, which adds bulk to food while it is moving through the digestive system. Fiber improves gastrointestinal health and reduces problems like constipation, bloating, diarrhea and cramping. Dietary fiber also helps to reduce the total amount of cholesterol in the body, thereby reducing the chances of getting heart attacks, atherosclerosis, and strokes. You can also use sorrel to strengthen your digestive system and to increase your appetite. Sorrel is rich in potassium, which is a vital mineral for human health. One cup contains 15 percent of the daily recommended intake. Potassium is a vasodilator and it plays an instrumental role in maintaining fluid balance all over the body. It minimizes stress on the cardiovascular system by relaxing the arteries and veins. When the blood pressure reduces, there is a lower risk of excessive strain on the heart that may cause coronary heart disease and other issues. The risk of blood clots is also reduced. If you have hypertension, including this herb in your diet is a natural way to reduce your blood pressure, so that you will not have to rely on drugs unless it is absolutely essential. You can drink sorrel tea for six weeks to achieve this. The suggested dosage of Sorrel tea is 4 to 5 times per day. You can also purchase the herbal extract of sorrel and take it once per day. Sorrel contains vitamin C, which is essential for the repair, development, and growth of body tissues. Sorrel leaves also play a role in wound healing, absorption of iron, formation of collagen and the maintenance of teeth, bones, and cartilage. People who lack an adequate amount of vitamin C in their bodies can suffer from scurvy. Sorrel has antibacterial properties against Escherichia coli, Staphylococcus aureus, and Pseudomonus aeruginosa. These are the main microorganisms that cause infections on wounds. Sorrel also has antioxidant properties, which play a role in wound healing. You can prepare a sorrel leaf homemade remedy and apply it on the wounds for quick relief and healing process. To prepare this remedy, take some clean leaves of Sorrel, muddle them properly and eradiate the solid content. After this, apply the remaining extract on the wound. Red sorrel has a high concentration of vitamin A. which is essential for good eyesight. This vitamin is mostly found in the leaves of Sorrel. Eating the leaves of this herb can provide you with a good amount of vitamin A. One of the symptoms of a deficiency of vitamin A is night blindness. Night blindness can also occur due to a temporary affliction, pregnancy or tiredness. If you find it difficult to see at night, you can consume sorrel leaves to improve your eyesight. When breastfeeding, women at times experience reduced milk production. This issue can be problematic if it lasts too long and milk flow becomes forceful or slow. If you have a problem with milk flow, you can take a decoction of the seeds or leaves of red Sorrel. This would help increase milk flow and relieve the pain linked with the milk flow. You should take the decoction in small quantities for a longer period. Most people suffer from skin problems such as rashes at one time or the other. Rashes can occur due to allergies. The other common skin problems people suffer from include acne, heat boils and hives among others. It is possible to treat these skin issues by using red sorrel leaves. The potassium and calcium, in Sorrel, acts as soothing agents and help in alleviating skin related problems. Sorrel has been used to treat skin diseases for more than a hundred years. In India, people made a juice from sorrel leaves and applied in on the affected areas. Sorrel contains flavonoids and other kinds of antioxidants. This makes it a good purgative and diuretic, meaning that it helps flush out toxins for the body. Sorrel infused water and Sorrel tea are often used to detoxify the body. This herb also relieves bloating. Sorrel leaves contain adequate amounts of minerals such as calcium, manganese, magnesium, copper, zinc, and potassium. Sorrel leaves also contain sodium, iron, chlorophyll and phosphorous, which help to increase hemoglobin levels in the body. Increasing hemoglobin levels is particularly important for people who have been diagnosed with anemia. Sorrel leaves can also enhance healing if you have fever blisters and cold sores. This is due to the fact that sorrel leaves have high concentration of flavonoids, polymeric and oligomeric proanthocyanidins. Red and sheep sorrel are considered to be beneficial plants. These herbs can clean your urinary tract if you consume the juice of their leaves on a regular but controlled basis. Sorrel also helps to prevent the formation and growth of kidney stones. However, the juice of Sorrel leaves contains oxalic acid, which may be harmful if you consume it in high amounts as they could cause kidney stones. You could make a pesto out of the leaves and then consume it with calcium-rich foods. This procedure minimizes the soluble oxalate content in the sorrel leaves. This is an ideal way to consume the herb because the amount of oxalate the body absorbs is reduced. Gastroenteritis, also referred to as infectious diarrhea, causes the gastrointestinal tract to become inflamed. Its symptoms may include abdominal pain, diarrhea, dehydration, vomiting and lack of energy. The Aichi virus is responsible for causing gastroenteritis. Red Sorrel is effective in preventing Gastroenteritis and inhibiting the Aichi virus due to its ability to change the structure of the virus and its antimicrobial properties. To fight this virus, you should take sorrel juice. Your diet may fail to meet your daily energy requirements. Sorrel is a potent herb that can provide you with adequate energy to keep you active throughout the day. Sorrel also provides the body with numerous beneficial nutrients. For instance, iron can improve blood circulation by providing the blood with more oxygen. 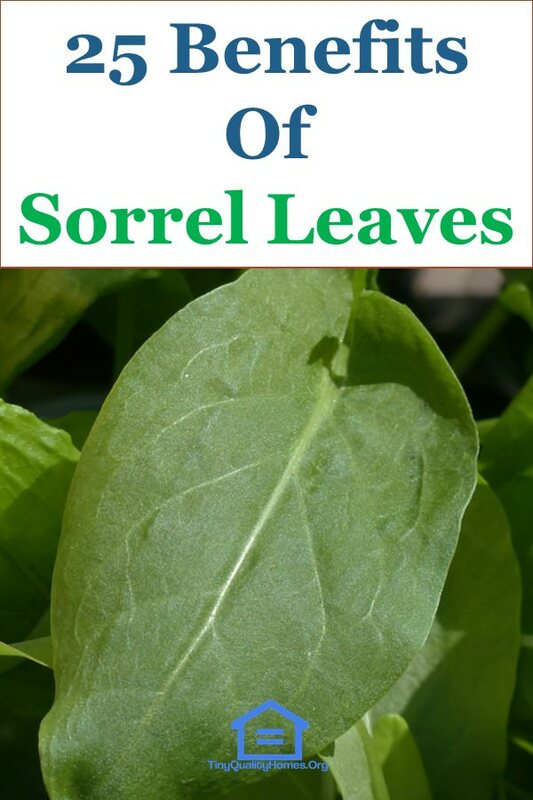 Sorrel can provide you with eighty percent of the daily estimated average requirement of iron. Many people drink milk daily with the goal of providing the body with the calcium it requires. However, milk does not contain as much calcium as is shown in the advertisements. Your body requires more calcium than the one provided by a glass of milk to keep your bones strong and dense. Red Sorrel contains a large amount of calcium. It also modulates the calcium channel, making the calcium readily available to the body. You can add some Sorrel leaves to drinks, such as tea, daily to strengthen the bones. Menopausal women experience a change in hormone levels, which can make them lose hair. This could occur due to the deficiency of vitamins C and A. Therefore, it is important that such women’s diet contains foods rich in these vitamins. Men may also lose hair for various reasons. They can prevent excessive hair loss by taking foods containing an adequate amount of vitamin A and C. Sorrel contains adequate amounts of these vitamins and can, therefore, promote hair growth. Jaundice develops when the liver fails to function normally and its ability to eliminate bilirubin from the body stops or reduces. This causes the bilirubin to accumulate in the body. When this happens, the nails, eyes, and skin begin to turn yellow. Sorrel is a good hepatoprotective herb and it assists the liver to heal and resume its functions. Some of the antioxidants in sorrels, such as anthocyanins and protocatechuic acid, are proven to help protect the liver from peroxidative damage that is chemically induced. The anthocyanins found in red Sorrel are effective in minimizing obesity. They affect the levels of alanine aminotransferase, aspartate aminotransferase, triglycerides and cholesterol in the body. The continuous intake of red sorrel helps to reduce body weight. The consumption of red sorrel also minimizes the risk of suffering from conditions associated with diabetes such as high cholesterol. Studies that look into the antioxidants in sorrel are still ongoing, but there is adequate evidence that it contains flavonoids, anthocyanins, and polyphenolic compounds, which all function as antioxidants in the body. These antioxidants are effective in neutralizing harmful free radicals in the body that can cause healthy cells to turn into cancerous cells. Sorrel has anti-tumor properties. Research performed at the Northern Caribbean University showed that sorrel can inhibit certain kinds of cancer cells. One cup of sorrel contains 106 percent of the daily recommended intake of vitamin C. This amount of vitamin C would boost your immune system. Vitamin C also stimulates the immune system to increase the number of white blood cells in the body. 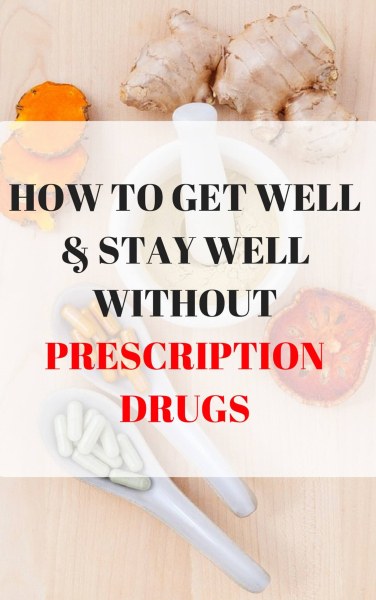 It also helps to minimize swelling and has pain relieving properties if consumed in high concentrations. The virus which causes herpes zoster, commonly referred to as shingles, is known as the Varicella-zoster virus. This virus is stubborn and it comes into contact with the body when one suffers from chicken pox. It can remain dormant in the body for many years. Acute herpes zoster may cause postherpetic neuralgia, which is quite costly to treat. The Chinese have used sorrel to treat herpes zoster topically for many years. This herb is considered safe for treating this condition. Red sorrel extract is known to enhance the survival of bone marrow. It increases glutathione levels. It also increases the activity of superoxide dismutase and shows compelling cellular gene protecting potency against DNA damage induced by hydrogen peroxide. Sorrel is a member of the oxalis family, which is closely linked with enhancing the condition of diabetics. This occurs due to the anthocyanins and organic compounds found in Sorrel. Sorrel generally interacts with most systems of the body to boost health and functionality. Many women suffer from anemia due to heavy bleeding when they are having their periods or after pregnancy and lack of adequate nutrition. Sorrel is a great source of sodium, iron and phosphorous, which increase hemoglobin levels in the body. Sorrel has anti-inflammatory and antimicrobial properties that make it a good antidote for scorpion poison. If you are bitten by a scorpion, wash the wound properly and then apply the extract obtained from sorrel leaves. Sorrel leaves and their extract are also suitable for treating boils, ulcers, scorbutic diseases, and swelling. If you are looking forward to losing weight, you can include sorrel leaves in your diet. They are rich in numerous minerals, vitamins, carbohydrates, and proteins. Sorrel leaves are also low in calories and contain a minute amount of fat. For this reason, they are a great option for health conscious individuals who want to shed pounds. Eating large quantities of sorrel could cause nausea, diarrhea, vomiting, dizziness, stomach pain, and liver disease. If you have asthma, avoid sorrel.